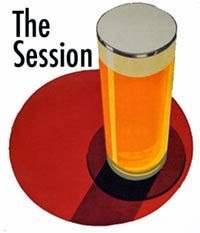 In Session 87, I want you to give your readers a history lesson about a local brewery. That's a physical brewery and not brewing company by the way. The brewery doesn't need to still exist today, perhaps you had a local brewery that closed down before you were even born. Or you could pick one that has been producing beer on the same site for centuries. The only thing I ask is that the brewery existed for at least 20 years so don't pick the local craft brewery that opened two or three years ago. This will exclude most small craft breweries but not all. The reason? There's not much history in a brewery that has only existed for a few years. Also, when I say local, I mean within about 8 hours' drive from where you live. That should cover most bases for the average blogger and in many, allow you to pick one further away if you don't want to talk about a closer one. For instance, I live in west Dublin and the closest brewery to me is The Porterhouse, but they only opened in the late 90's. The most obvious brewery of course is Guinness, but enough people get told the history of Guinness by a very clever marketing team so I can't bring myself the re-hash the same old tales about the 9000 year old lease and all that. So I will be picking something else on the day. Some of you may already know a lot about the history of a local brewery and others might have to do a little research. If you do pick a dead brewery, see if there are any connections today! Perhaps the brewery is dead but the brand was bought by another brewery and lives on today. The most important goal is to have fun with your research. One last thing, I notice that no one else has volunteered to host the next session. It's easy to get involved. Just go to the session page here. Down at the bottom are instructions on how to host. 8 hours???? That's a swathe from Georgia to Maine, up to Michgan, Ohio, and parts of Canada, not to mention over to Kentucky. Plenty of options there then. Err whatever about the 8 hours drive, I said at least 20 years. In other words, 20 years plus. Still. 20 years is a bit ridiculous. Plenty of younger breweries have made their own history. And in a nation where breweries are a relatively new thing, you'd be hard pressed to find many local breweries 20 years or older. You've got Sam Adams, Sierra Nevada, and an extremely small handful spread out through the states. I guess we have different definitions of history. Being European, anything less than 20 years is a fad. I looking for interesting details. At the end of the day, write about whatever you like. The stipulations are only guidelines. @Jake - plenty of breweries fit the criteria if you look back to the prohibition era. It doesn't have to be a modern craft brewery or BMC. Do I get bonus points for being early? Almost forgot it was Session day, so here's what I bashed out of my keyboard today. A bit of oul Dublin for you. Thanks for hosting, and coming up with a challenging topic. As you'll read, I'm not a big fan of the "it must be 20 years old" stipulation but it didn't deter me from participating. Look forward to seeing everyone's responses. Cheers! I admittedly made a mistake when I first read your topic, but I think good things might come of it. Thanks, Reuben. This was a great topic - one that I now plan on continuing to research beyond this Session. I looked at the former site of the Los Angeles Brewing Co, which eventually became one of Pabst Brewing Co locations on the U.S. west coast. Whew, just made it. This is my first ever Session post, and I bent the rules with the topic just a wee bit. I hope that's okay. Enjoy! If you get website hosting package.You can not forget it. website hostingpackage is the most plesent for us.